For over a decade, The Mah Jongg Maven has been known around the world as the most complete retailer for Mah Jongg Sets, Mah Jongg Tiles, Mah Jongg Racks, Mah Jongg Cases and other Mah Jongg Accessories. The Mah Jongg Maven brings you products directly from China that no one else offers. Whether you’re a lifelong enthusiast or an anxious beginner, The Mah Jongg Maven can help you be the player with a stunning one-of-a-kind Mah Jongg set. 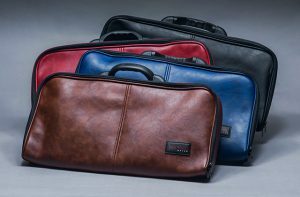 You can have the beauty of the lightweight Mah Jongg case, in a beautiful new leatherette case in four new hot colors! Our 2-in-1 Mah Jongg Racks push your wall out with ease. Now available in Sparkle colors! For more than a decade, Mah Jongg Maven has built a solid reputation as a leading provider of Mah Jongg sets, books of Mah Jongg rules, Mah Jongg cases and related items. We even have Mah Jongg custom sets, in case you’re looking for a one-of-a-kind gift. Whether you need Mah Jongg gifts or a few Mah Jongg tile sets for your household to enjoy, browse our website and find a complete assortment of specialty products. Our Mahjong tile games are fun for people of all skill levels, ranging from timid beginners to seasoned experts who regularly compete with other experienced hobbyists. No matter how familiar you are with Mahjong puzzle games, you’ll appreciate the depth of our inventory. At our website, it’s possible to find everything required to either learn Mah Jongg or get more enjoyment from the game with help from cool Mah Jongg accessories like brightly-colored Mah Jongg racks. Those products are perfectly sized to fit rows of Mah Jong tiles. 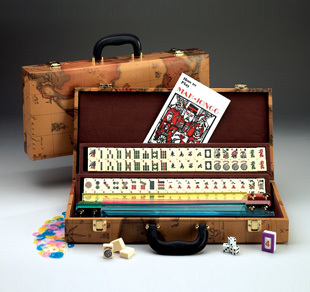 We also offer a wide selection of Mah Jongg cases to store and transport Mah Jongg games. 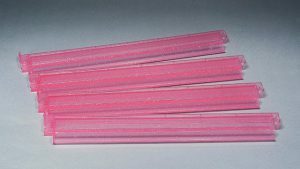 They’re ideal if you play with the National Mah Jongg League, or are just looking for a simple method of carrying the game from your house to a gathering among fellow enthusiasts in your neighborhood. 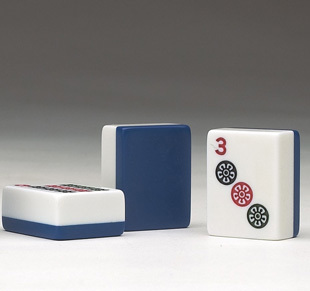 Choose a soft-sided Mah Jongg case that includes wheels for hassle-free maneuverability. Alternatively, go with an aluminum Mah Jong case that features a sturdy build and enough room inside to hold several Mah Jongg racks. If you’re looking for a thoughtful gift, order a monogram Mah Jongg case that features the recipient’s name stitched in an appealing font. Depend on our website for all your Mah Jongg carrying case needs. 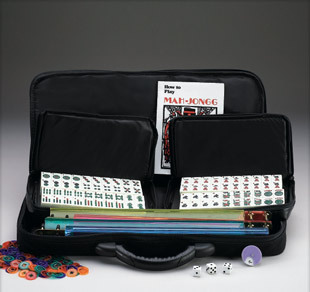 Shop with us today to discover Mah Jongg bags, complete Mah Jongg sets and much more. We’re looking forward to helping you participate in a game that has entertained generations of players. The Mah Jongg Maven, LLC.